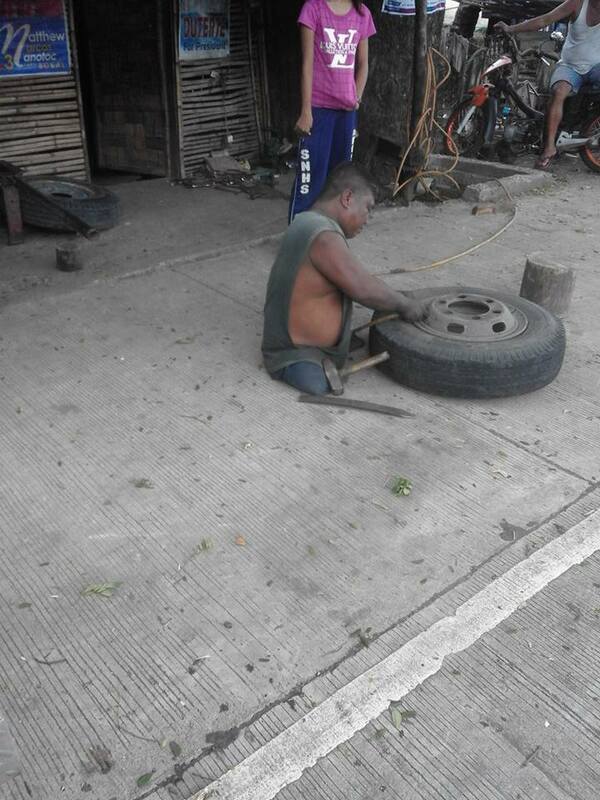 Having no legs meant that truck wheels could be as tall as he is yet that did not stop one guy in Ilocos Norte, northern Philippines from overcoming the challenges and working efficiently in a vulcanizing shop! He’s so good at what he’s doing that he definitely impressed one netizen who shared his story on Facebook where it had quickly gone viral. 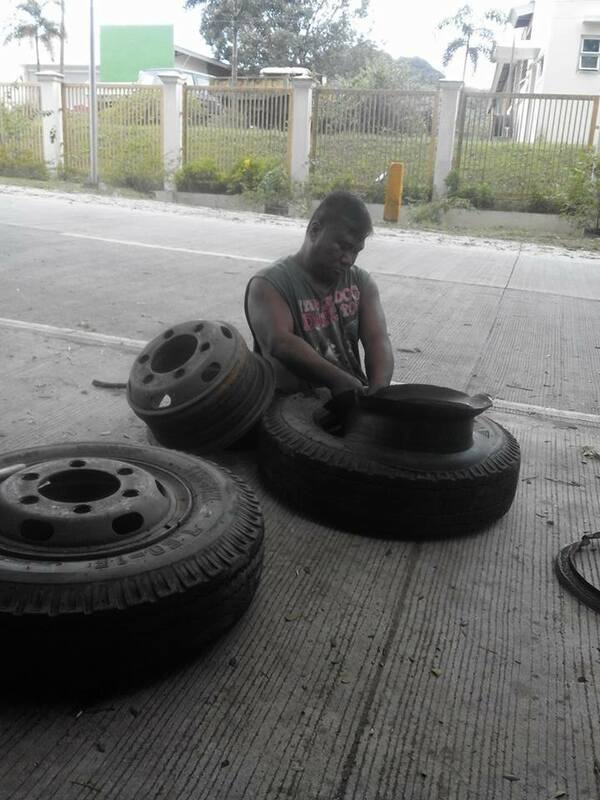 According to Jansen Sangueza in a Facebook post, they were delivering foam beds to Ilocos Norte when a wheel got busted. 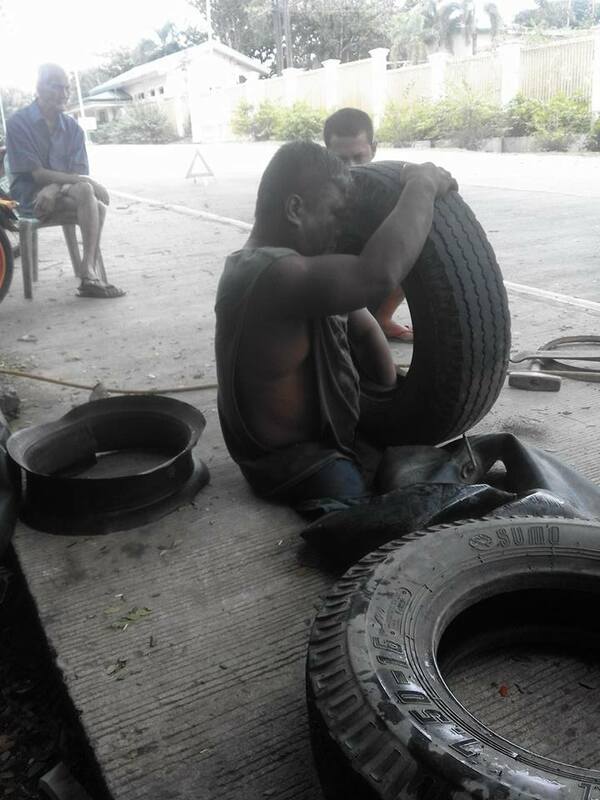 It was quite lucky that they had a flat tire near a vulcanizing shop. Sangueza wrote how he was surprised to see a man with no legs get out of the vulcanizing shop and inspect the wheels, considering his condition it was surely difficult to believe that he’s going to be the one to fix the busted wheel! 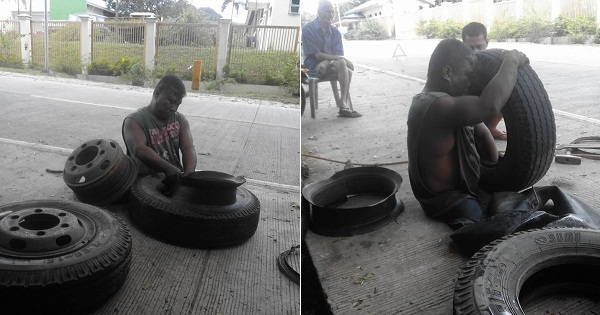 But Sangueza’s doubts were soon put to rest when the man adeptly removed the wheels and proceeded to fix the tires with nimble hands. It was clear that this guy knew what he was doing and, despite his condition, didn’t actually need help from them. Sangueza was so inspired by the legless man from the vulcanizing shop that he took some snapshots and a short video which he shared on Facebook. He expressed pride in what the man is doing, especially because this was his way of earning money for his wife and two kids.